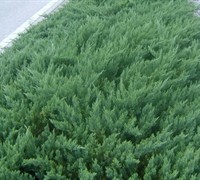 Parson's Juniper is an attractive evergreen conifer with feathery branches and needle-like, very dark green leaves. Grows 24 to 30 inches in height with a spread of 6 to 10 feet. Prefers full sun and well-drained soils. 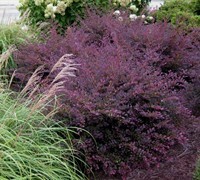 Salt tolerance makes it a good selection for seaside plantings. 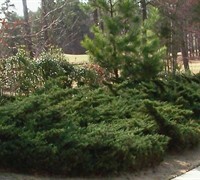 Parson's Juniper is excellent for use as a groundcover on large to small slopes and embankments, as a border in landscape beds, or as a low-growing foundation shrub. 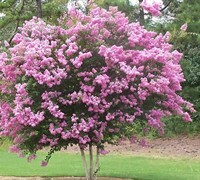 It is equally useful in small groups or as an underplanting for small trees such as the Japanese maple and crape myrtle.